What Kind of Lotion to Use on New Tattoo? It sounds exciting to get a tattoo, but you have to pay attention to several things once you have yourself a meaningful tattoo. While you can go to a tattoo artist and get some fresh ink, the result usually depends on how you take care of it. What you should or should not do soon after getting a tattoo makes it a bigger commitment than a kitten. Remember that your tattoo is going to stay with you forever, so it makes great sense to pay some extra attention to keep it in a perfect shape. 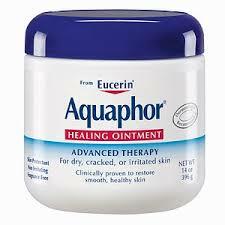 You can always use ointments and lotions to help your tattoo heal properly. Unfortunately, most people have no clue about what kind of lotion to use on new tattoo. Let's find out more about some interesting options. Should You Apply Lotion on Tattoo? Yes, it is a good idea to apply lotion on your tattoo to protect it from infections. Cleaning your tattoo is important too. You should be cleaning it multiple times soon after removing the bandage – a gentle liquid antibacterial soap will work just fine. For extra care, you need to moisturize your tattoo regularly, and that is when you have to find a lotion. While using a lotion helps, you should ensure you are not opting for scented varieties. 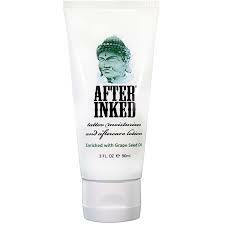 Get yourself an unscented lotion and apply it on your tattoo 3-6 times a day for up to two weeks. Using a lotion on your tattoo is a great way to accelerate healing, but you need to have information about the right lotion to use on new tattoo. Not all of them are created equal – some of them even contain chemicals that can cause complications. Here are some recommendations. Soon after removing the bandage, you can apply this alcohol-free ointment to your new tattoo. Gently wash and pat dry your tattoo before applying the lotion. You just need to apply a very thin layer of this healing appointment to see positive results. Not only can you use it on your tattoo, but you can also use it on very dry, chapped or irritated skin. It is free of dyes, fragrance, and preservatives, so it works just find for sensitive skin. This clinically proven lotion contains natural oatmeal blended with rich emollients to keep your tattooed skin moisturized throughout the day. This fragrance-free lotion uses fast-absorbing formula and prevents the chapping and scaling associated with very dry skin. It does not clog pores and leaves your skin soft and smooth. 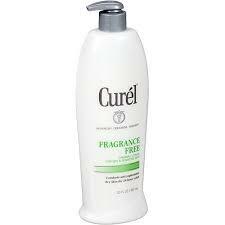 Using Curel Fragrance Free Lotion is one perfect way to keep your tattooed skin moisturized and hydrated for 24 hours. It is not too greasy or thick, so you do not have to worry about clogging your pores. 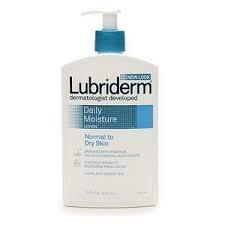 Just apply some on your tattoo and rub it gently. Your skin will soak it completely in a few minutes. It is yet another great option for people looking for what kind of lotion to use on new tattoo. 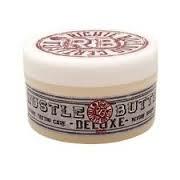 It works amazingly well to moisturize and replenish dry skin. It contains no fragrance and is packed with vitamin B5 that offers your skin some extra protection for full 24 hours. It uses a non-greasy formula, so it absorbs in seconds. 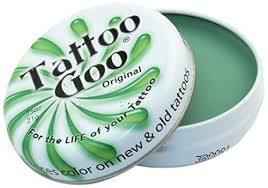 For fast healing of your tattoo, you can always rely on Tattoo Goo. It works great for your tattoos and is equally effective for chapped, damaged, and sun burned skin. It contains vitamins along with several herbs known for their healing properties. This lanolin free, petroleum free, and mineral oil free product has a pleasant natural smell with ingredients such as olive oil, wheat germ oil, beeswax, vitamin E, rosemary extract, and sunflower oil. 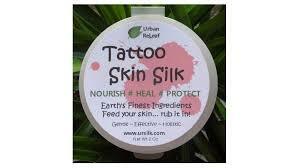 All-natural Tattoo Silk provides perfect protection to your new tattoos. It does not contain petroleum or lanolin and never clogs the pores. It contains a variety of vitamins with natural oils and does not pull out your new ink. It moisturizes your skin while allowing your skin to breathe properly. It rejuvenates, heals, and protects your tattoo and works great for damaged, itchy skin. With ingredients like mineral oil, cetyl alcohol, sodium hydroxide, propylparaben, methylparaben, and water, Lubriderm lotion should work fine for people with all skin types. Its non-greasy, fast-absorbing formula allows for quick absorption and leaves your skin smoother and softer. It works great to relieve dry skin and promote healing of your tattooed skin. It is fragrance-free and packed with B5 and other skin essential moisturizers to provide your skin with perfect protection. It serves as perfect alternative to petroleum-based products. You can use it before, during, and after the tattoo process. Regular use promotes faster healing mainly because it contains papaya, mango, Shea butter, cocoa and other moisturizing ingredients. It is a great choice because it does not remove stencils and leaves your pores unclogged. It is one of the best products in the piercing, tattoo, and permanent makeup industry because it keeps your skin moisturized and promotes quick healing. It is non-allergenic and perfectly safe for all skin types. It does not contain paraben, petroleum, fragrance or gluten, but is packed with grapeseed oil and vitamins, which is why it is a perfect choice for anyone asking what kind of lotion to use on new tattoo. Applying lotions on new tattoo will definitely accelerate healing, but you need to follow other instructions too soon after getting your new tattoo. Here are some tips to take the right care of your new tattoo. Do not remove the covering immediately after getting your tattoo. Leave it on for at least 2-6 hours to stay protected from airborne bacteria that can cause infection. Take special care when removing the bandage. Simply soak it with warm water and then remove gently. Wash and treat your tattoo using lukewarm water and antimicrobial soap. Pat dry the area with a clean towel. 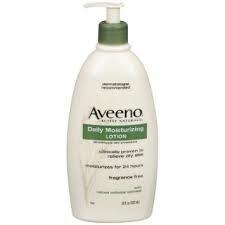 Continue to apply a moisturizing lotion twice a day until the scab is gone. It may take up to two weeks for your tattoo to heal. Avoid soaking the tattoo for the first week – you may want to avoid swimming in pools, especially chlorinated pools. Avoid Jacuzzis, saunas, and activities that make you sweat excessively. Do not expose your tattoo to direct sunlight. Wear a sunblock with 30SPF to keep your tattoo from fading in the sun.